Married, wife's name is Olga Lidia Rosario De Alberto...The couple has a daughter, Avril Marie...Originally signed by the Texas Rangers as an undrafted free agent on November 23, 2009...Signed by Rodolfo Rosario, Willy Espinal, and Mike Daly. Led Triple-A Round Rock in hitting (.330), ranked second in RBI (58), and fourth in hits (119)...Finished fourth in the Pacific Coast League in hitting...A non-roster invitee to Texas Rangers Spring Training...Had his contract selected by the Rangers on 5/15; was optioned and recalled two other times during the season...Tied a career-high with three hits on 9/27 at SEA...Batted .398/.396/.583 (41-for-103) with six doubles, two triples, three home runs, 12 runs, and 27 RBI in 27 games in July for Round Rock. Spent the entire season on the disabled list with right shoulder problems and had right rotator cuff debridement surgery on 6/19…the procedure was performed by Rangers Team Physician Dr. Keith Meister…only regular season action came in the form of 5 games on injury rehabilitation assignment at Frisco (6/1-4) and Round Rock (6/5-6)…also played in 11 spring training games, the last on 3/12 at CWS, before opening the year on the 10-day DL with right shoulder tightness…transferred to 60-day DL on 5/16 for duration of the season…reinstated from 60-day DL on 11/6 and was not tendered a major league contract offer prior to the deadline on 12/1, making him a free agent…re-signed to a minor league contract on 12/14. Despite making his 1st career Opening Day roster, Alberto still saw less action with Texas than in his rookie 2015 campaign…saw three stints with Texas (Opening Day-6/3, 7/20-8/2, 9/2-end of season) and spent 2 1/2 months with Triple-A Round Rock…made 14 starts at SS (6), 3B (4), 2B (3), and 1B (1)…joined Jurickson Profar as the only Rangers to make starts at all 4 infield positions, including his 1st career action at 1st base…played just 2 games with Texas from June through August…lone extra-base hit was a double on 7/31 vs. KC, and had no multi-hit games…had game-tying single in 9th inning in last PA of season finale on 10/2 vs. TB, snapping 0-for-15 drought…4 of his 8 hits came with RISP…went 0-for-2 as a pinch-hitter. Was not on the Rangers' roster for the 2016 ALDS, but saw action as replacement for injured third baseman Adrian Beltre in the 2015 ALDS against Toronto, going 2-for-10 in 3 games/2 starts…entered Game 1 after Beltre's exit and went 1-for-2…started at 3B in Games 2-3, with first postseason hit being tie-breaking 2-R, 2-out single off Liam Hendriks in 14th inning of Game 2…became just 2nd rookie in MLB history with GW RBI in 14th-or-later, joining HOU's Chris Burke (18th inning of ALDS G4 vs. ATL on 10/9/05)…doubled in Game 3 and did not play in Games 4-5 following Beltre's return. 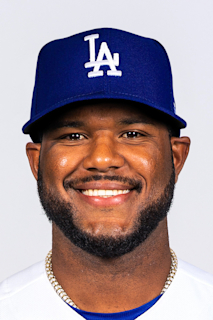 Batted .222 (22-99) with 2 doubles, a triple, and 4 RBI in 41 games over 2 stints with the Rangers last season (5/28-7/4 and 8/19-end of season) in his first major league action…was 1-for-3 in 3 PA's as a pinch-hitter…club had 18-8 (.692) record in his 26 starts...Hit safely in 6 straight (5/29-6/4) and 7 of 1st 8 ML games at .344 (11-32), with Rangers going 7-1 in those contests…beginning 6/7, batted .164 (11-67) over final 33 games/18 starts with Texas to finish at .222…just 8 G after 9/1 (0-for-2 in 2 PA's), last start was 8/30 vs. BAL (2nd base)… his career-opening 6-game hit streak was longest for a Texas batter since Chris Davis in 2008 (6 G, 6/26-7/2/08)…became 5th Ranger in history to record hits and RBI in 1st 2 ML games, joining Roy Howell (1974), Chad Kreuter (1988), Rusty Greer (1994), and Fernando Tatis (1997). Rated statistically as the best defender among Texas League shortstops with at least 50 games played...appeared at shortstop in 114 of 120 games played...posted career-best .979 fielding percentage, including a .980 mark at shortstop...combined to bat .273 (120-440) with 21 doubles, 4 triples, 7 home runs, and 58 RBI in 120 games with Myrtle Beach (A+) and Frisco (AA)...hit .284 (101-356) vs. right-handed pitching and .226 (19-84) vs. southpaws...batted .349 (45-129) with RISP...returned to Myrtle Beach for the start of the campaign and was promoted back to Frisco on 7/4 after hitting .313 with 12 extra-base hits in June...compiled a career-best 13-game hit streak from May 25-June 14...was chosen as the Rangers Minor League Defender of the Month for July...batted .330 (30-91) over final 25 games. Batted .390 (30-77) with 7 doubles, a home run, 14 runs scored, 5 walks, and 5 stolen bases in 26 games with Cibao in the Dominican Winter League...saw action at second, shortstop, and third...played in 14 postseason games for the DWL Champion Gigantes and participated in the Caribbean Series. Played in 129 games between Frisco and Myrtle Beach...combined to bat .223 (101-453) with 11 doubles, 4 triples, 4 home runs, and 47 RBI...hit .235 (85-361) against right-handers and .174 (16-92) versus southpaws...opened the season with Frisco and batted .288 (34-118) over his first 31 games...hit .176 (42-238) over next 69 contests and was transferred to Myrtle Beach on 8/1...batted .183 (11-60) with a double, 4 RBI, and 6 runs over 20 games with Cibao in the Dominican Winter League. Split the campaign between Hickory (A) and Myrtle Beach...combined to bat .299 (157-525) with 28 doubles, 3 triples, 8 home runs, 72 RBI, and 24 stolen bases in 128 games...posted the 2nd-highest average among Texas prospects on full-season clubs and collected the 5th-most RBI...selected to the South Atlantic League All-Star Game...named the 12th-best prospect in the Carolina League by Baseball America...opened season with Hickory and posted the 2nd-highest first half average in the league at .339 (83-245)...was the 2nd-youngest regular in the CL following a promotion to the Pelicans on June 22...batted .303 (37-122) over final 30 games with Myrtle Beach...hit .397 (25-63) with 2 doubles, 2 triples, and 7 RBI in 17 games with the Surprise Saguaros in the Arizona Fall League...posted the 3rd-highest batting average on the circuit. Spent first season stateside with Spokane (SS)...batted .301 (44-146) against right-handed pitching and .146 (6-41) versus southpaws. Spent first professional season with DSL Rangers...claimed the Dominican Summer League batting title and was a mid-season All-Star...tallied 4 different hit streaks of 5-or-more games, including a season-high 6 games twice. March 1, 2019 Baltimore Orioles claimed SS Hanser Alberto off waivers from San Francisco Giants. February 22, 2019 San Francisco Giants claimed SS Hanser Alberto off waivers from Baltimore Orioles. February 19, 2019 Baltimore Orioles designated SS Hanser Alberto for assignment. January 11, 2019 Baltimore Orioles claimed SS Hanser Alberto off waivers from New York Yankees. January 11, 2019 New York Yankees designated SS Hanser Alberto for assignment. November 2, 2018 New York Yankees claimed SS Hanser Alberto off waivers from Texas Rangers. September 4, 2018 Texas Rangers activated SS Hanser Alberto from the 10-day disabled list. August 25, 2018 Texas Rangers placed SS Hanser Alberto on the 10-day disabled list. Right hamstring strain. August 24, 2018 Texas Rangers recalled SS Hanser Alberto from Round Rock Express. June 14, 2018 Texas Rangers optioned SS Hanser Alberto to Round Rock Express. June 10, 2018 Texas Rangers recalled Hanser Alberto from Round Rock Express. June 2, 2018 Texas Rangers optioned SS Hanser Alberto to Round Rock Express. May 15, 2018 Texas Rangers selected the contract of Hanser Alberto from Round Rock Express. March 27, 2018 SS Hanser Alberto assigned to Round Rock Express. December 14, 2017 Texas Rangers signed free agent 3B Hanser Alberto to a minor league contract and invited him to spring training. December 12, 2017 3B Hanser Alberto assigned to Gigantes del Cibao. December 1, 2017 3B Hanser Alberto elected free agency. November 6, 2017 Texas Rangers activated 3B Hanser Alberto from the 60-day disabled list. June 5, 2017 Texas Rangers sent 3B Hanser Alberto on a rehab assignment to Round Rock Express. June 1, 2017 Texas Rangers sent C Hanser Alberto on a rehab assignment to Frisco RoughRiders. May 16, 2017 Texas Rangers transferred 3B Hanser Alberto from the 10-day disabled list to the 60-day disabled list. Right shoulder tightness. April 2, 2017 Texas Rangers placed 3B Hanser Alberto on the 10-day disabled list retroactive to March 30, 2017. Right shoulder tightness. October 20, 2016 SS Hanser Alberto assigned to Gigantes del Cibao. October 11, 2016 Texas Rangers activated SS Hanser Alberto. October 6, 2016 Texas Rangers reassigned SS Hanser Alberto to the minor leagues. September 2, 2016 Texas Rangers recalled SS Hanser Alberto from Round Rock Express. August 3, 2016 Texas Rangers optioned SS Hanser Alberto to Round Rock Express. July 20, 2016 Texas Rangers recalled Hanser Alberto from Round Rock Express. June 4, 2016 Texas Rangers optioned SS Hanser Alberto to Round Rock Express. April 18, 2016 SS Hanser Alberto assigned to Round Rock Express. December 22, 2015 SS Hanser Alberto assigned to Estrellas de Oriente. August 19, 2015 Texas Rangers recalled SS Hanser Alberto from Round Rock Express. July 5, 2015 Texas Rangers optioned SS Hanser Alberto to Round Rock Express. May 28, 2015 Texas Rangers recalled Hanser Alberto from Round Rock Express. March 24, 2015 Texas Rangers optioned SS Hanser Alberto to Round Rock Express. November 20, 2014 Texas Rangers selected the contract of Hanser Alberto from Frisco RoughRiders. July 4, 2014 SS Hanser Alberto assigned to Frisco RoughRiders from Myrtle Beach Pelicans. March 1, 2014 SS Hanser Alberto assigned to Texas Rangers. August 1, 2013 SS Hanser Alberto assigned to Myrtle Beach Pelicans from Frisco RoughRiders. June 30, 2013 SS Hanser Alberto assigned to Myrtle Beach Pelicans. March 28, 2013 Hanser Alberto assigned to Frisco RoughRiders from Myrtle Beach Pelicans. March 1, 2013 IF Hanser Alberto assigned to Texas Rangers. November 20, 2012 SS Hanser Alberto assigned to Gigantes del Cibao. October 7, 2012 Hanser Alberto assigned to Peoria Javelinas. October 7, 2012 Surprise Saguaros activated SS Hanser Alberto. October 7, 2012 Hanser Alberto roster status changed by Surprise Saguaros. June 22, 2012 Hanser Alberto assigned to Myrtle Beach Pelicans. June 22, 2012 Hanser Alberto assigned to Myrtle Beach Pelicans from Hickory Crawdads. April 3, 2012 Hanser Alberto assigned to Hickory Crawdads from Spokane Indians. March 29, 2012 SS Hanser Alberto assigned to Texas Rangers. May 27, 2011 Hanser Alberto assigned to Spokane Indians from DSL Rangers. May 28, 2010 Hanser Alberto assigned to DSL Rangers. October 23, 2009 Texas Rangers signed free agent SS Hanser Alberto to a minor league contract.